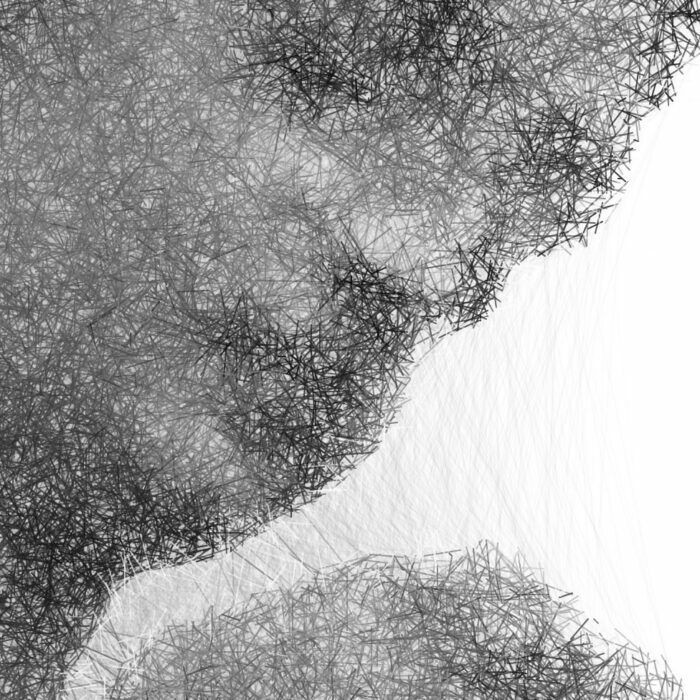 This piece is part of digital works exploring generative drawing. Related sketches were also produced. The works explore the interconnectedness of all things, in relation to matter, the reuse of matter and the passing on of genetic data. 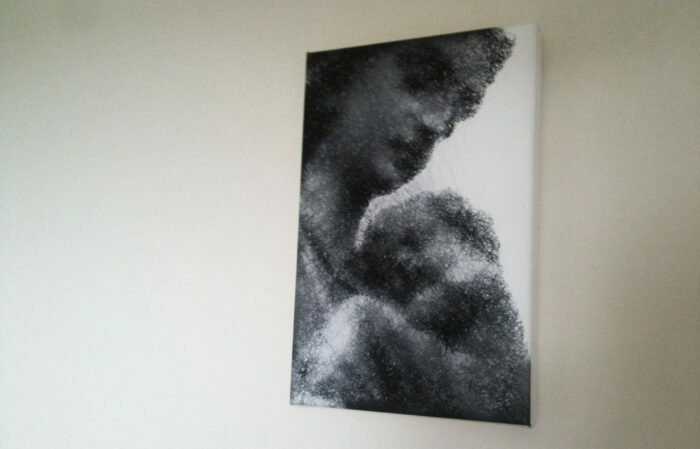 This is a digital print on canvas.